There is no other lodge in the Lake Arrowhead area that offers what Lake Arrowhead Treetop Lodge offers. Read More about what makes our lodge so special. 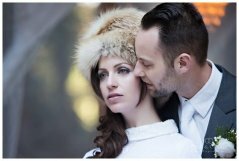 An inspired winter wedding styled shoot located at Arrowhead Tree Top Lodge. If you are looking for a beautiful outdoor wedding located in the beautiful area of the Lake Arrowhead mountains, our lodge may be just what you are looking for. Our outdoor wedding event area is surrounded by historic old growth, over 1 acre of natural forest. It is perfect for a wedding that is nestled within the pines. Read More.